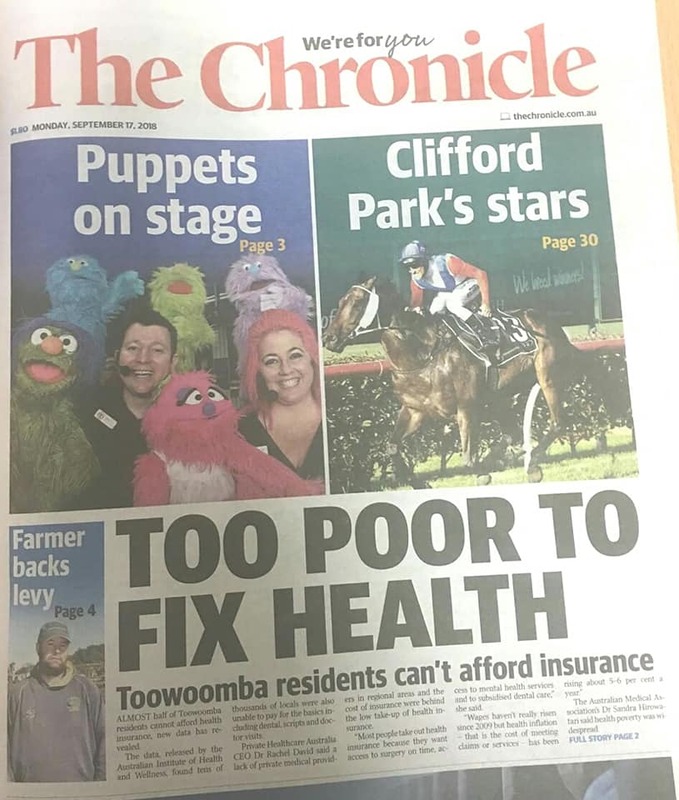 Puppets On Stage – The Chronicle Toowoomba printed our photo on the front page and an article on Page 3 about our puppetry workshops in Toowoomba. 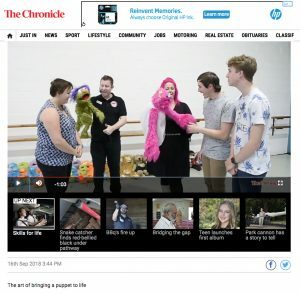 TOOWOOMBA performing artists learnt the art of puppeteering yesterday ahead of auditions for a major production next year. 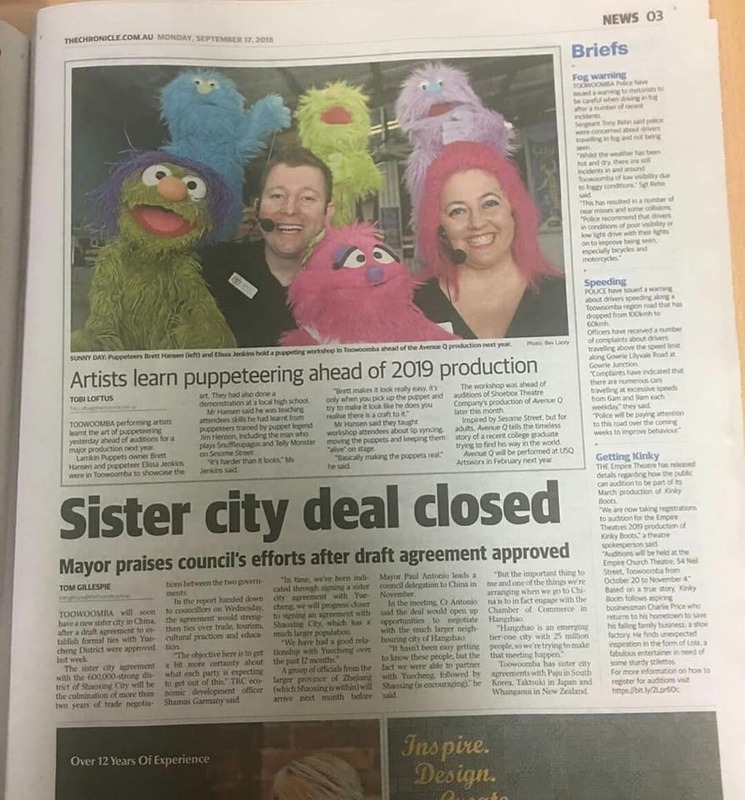 Larrikin Puppets owner Brett Hansen and puppeteer Elissa Jenkins were in Toowoomba to showcase the art. They had also done a demonstration at a local high school. Mr. Hansen said he was teaching attendees skills he had learnt from puppeteers trained by puppet legend Jim Henson – including the man who Snuffleupagus and Telly Monster on Sesame Street. Mr. Hansen said they taught attendees about lip syncing, moving the puppets, and keeping them “alive” on stage. “Basically making the puppets real”, he said. The workshop was ahead of auditions of Shoebox Theatre Company’s production of Avenue Q later this month. Inspired by Sesame Street but for adults, Avenue Q tells the timeless story of a recent college graduate trying to find his way in the world. Avenue Q will be performed at USQ Artsworx in February next year.